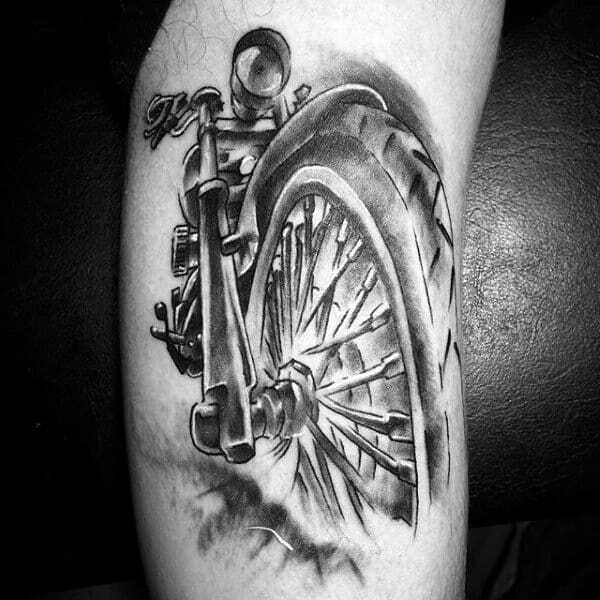 It’s time to put two wheels to the pavement. 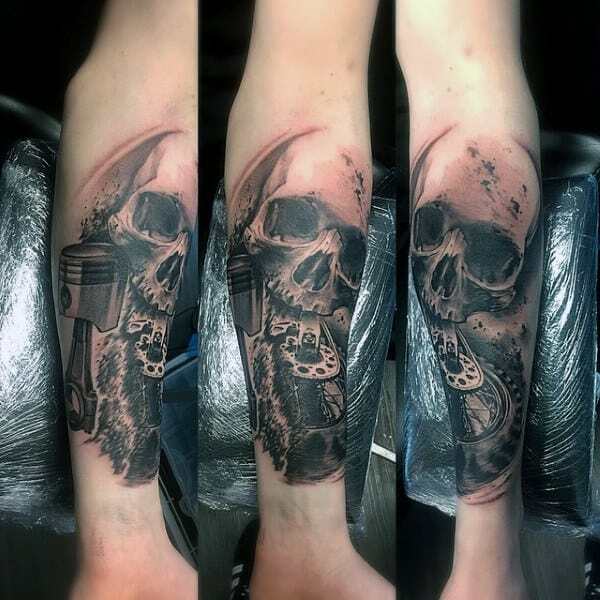 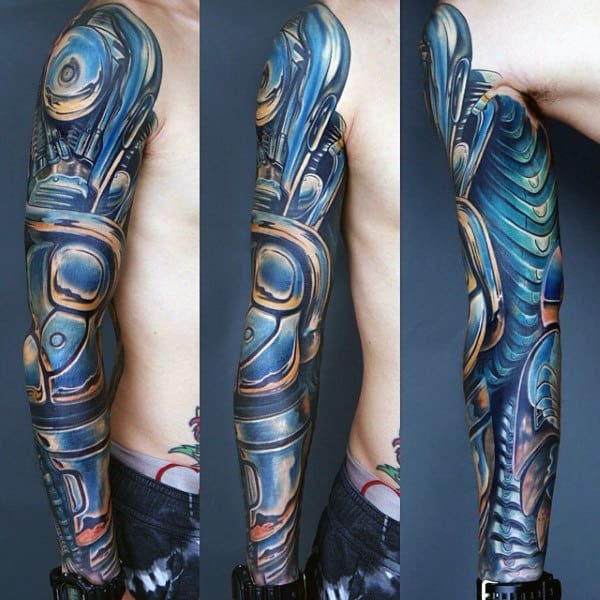 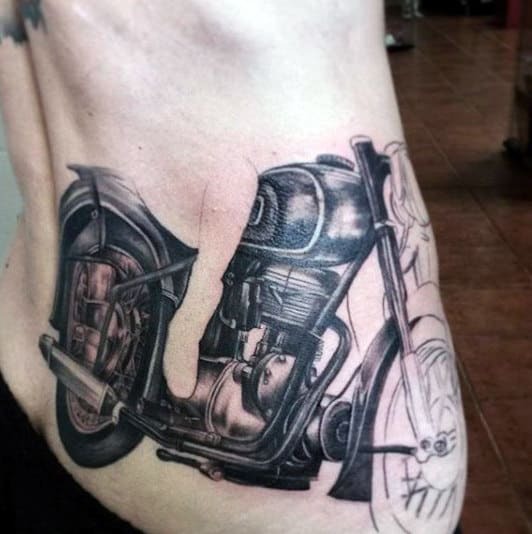 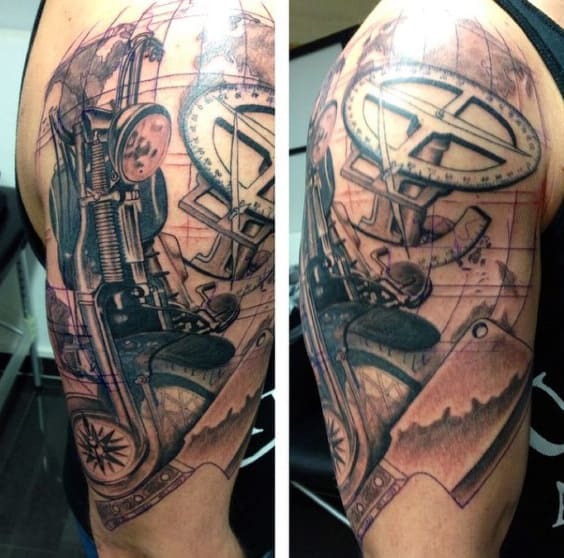 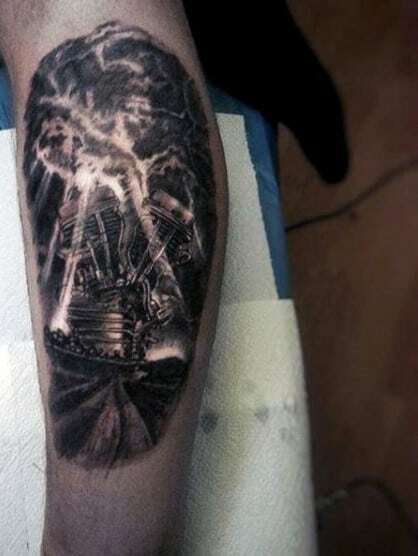 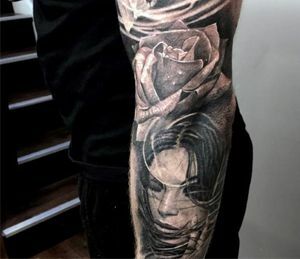 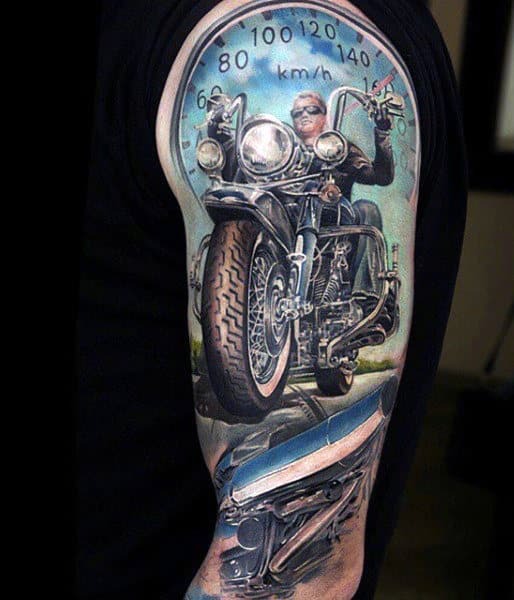 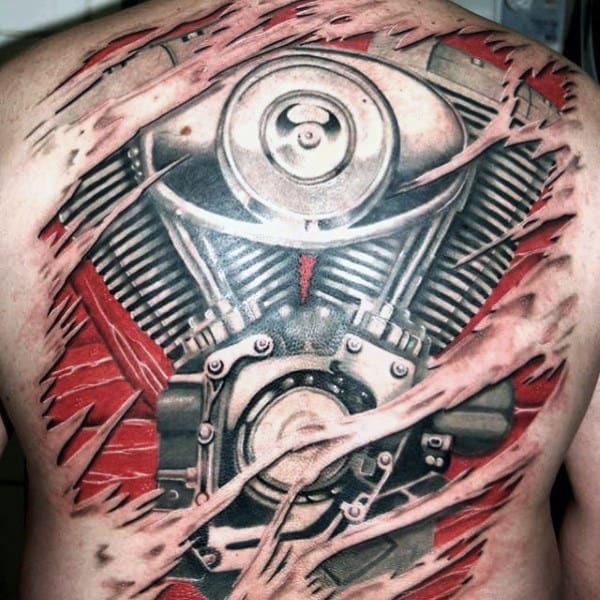 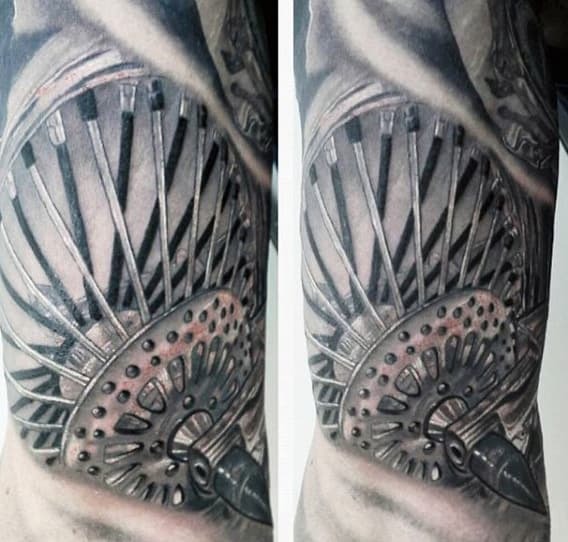 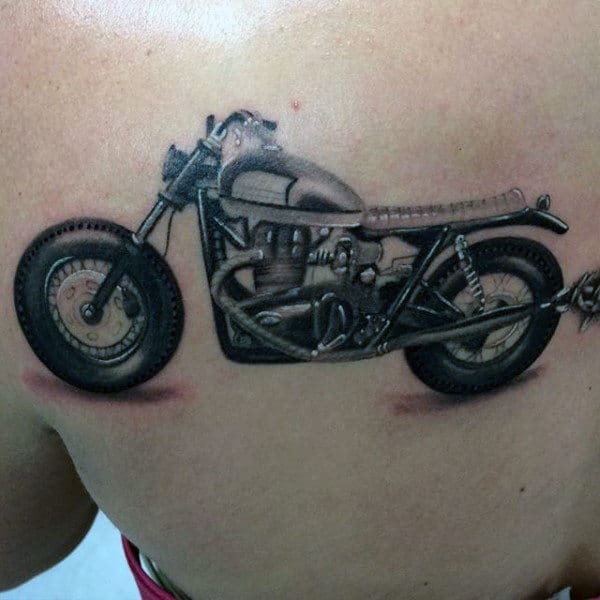 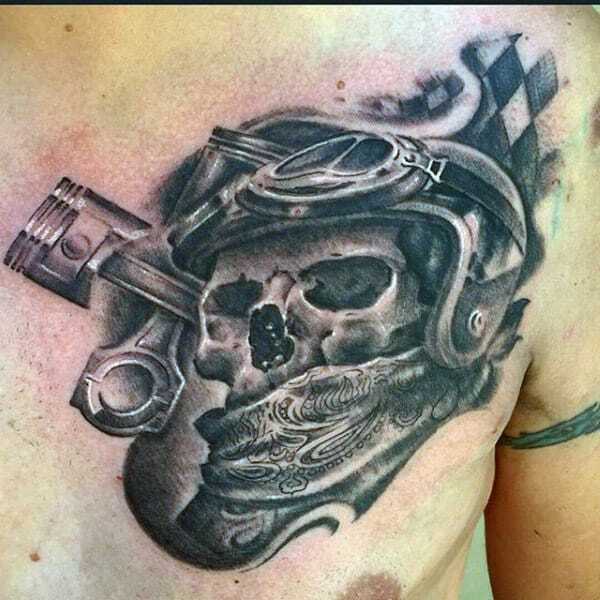 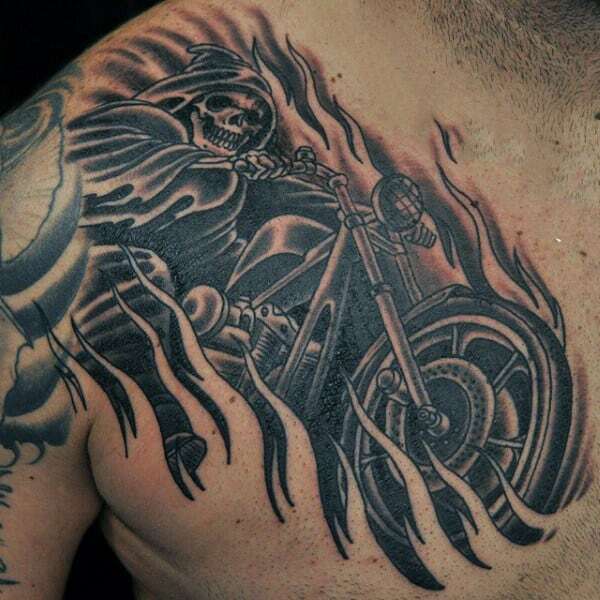 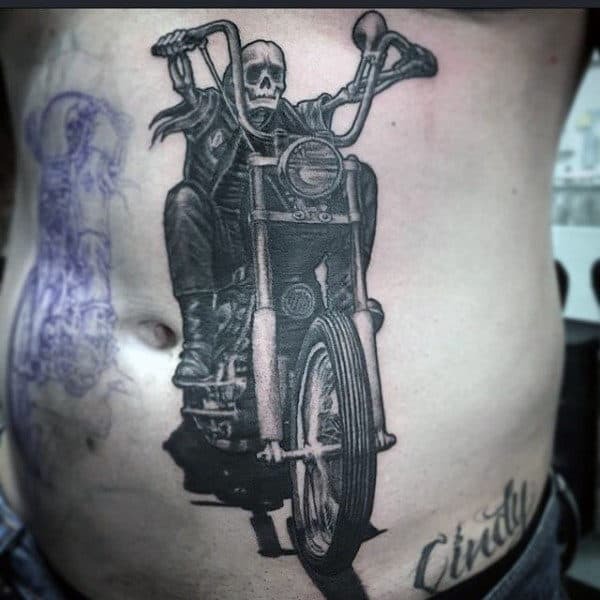 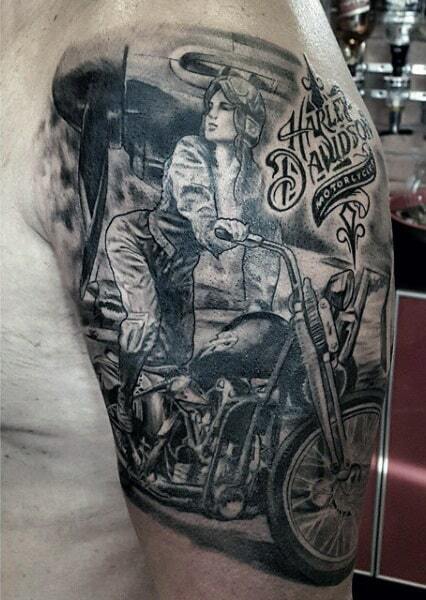 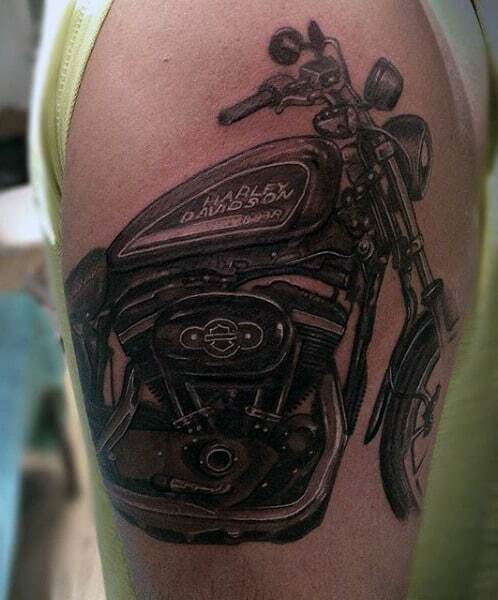 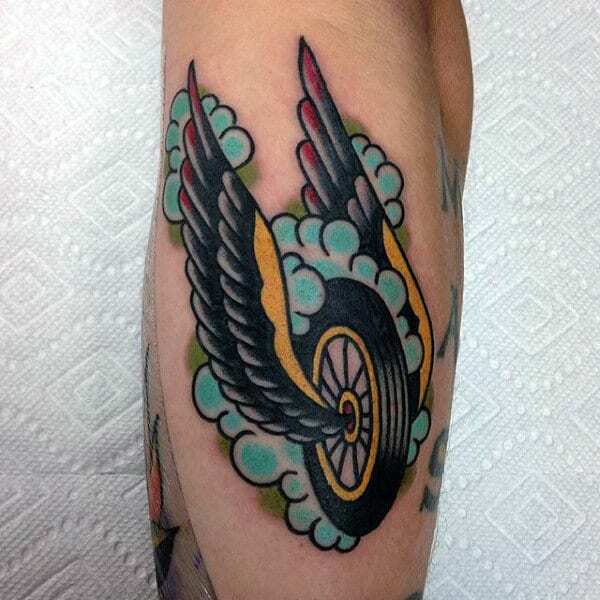 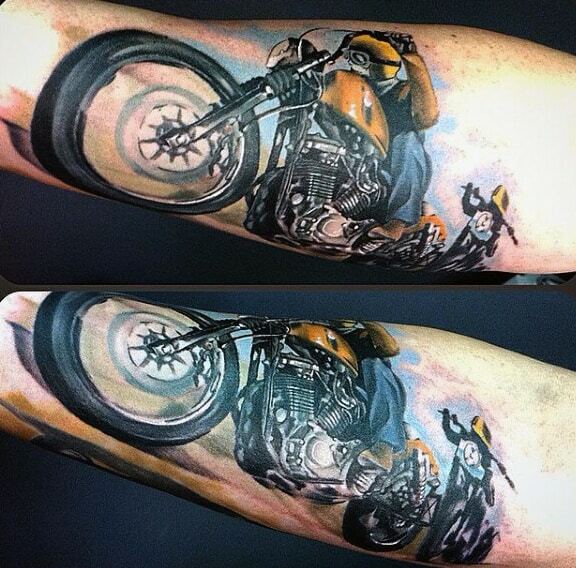 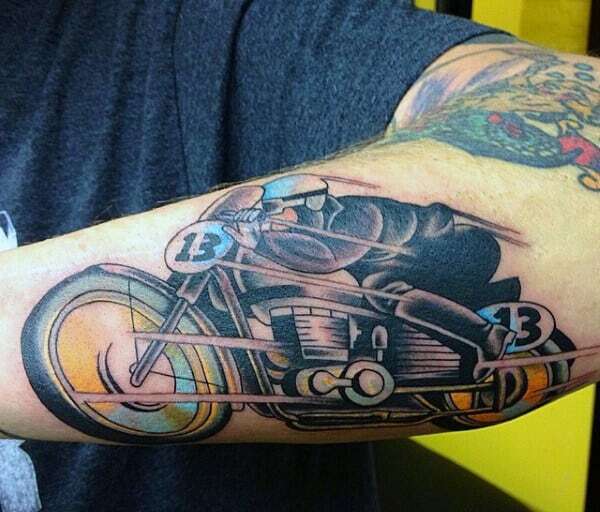 No matter if you ride a sports bike, Harley or chopper, these tattoo designs are sure to get your blood pumping. 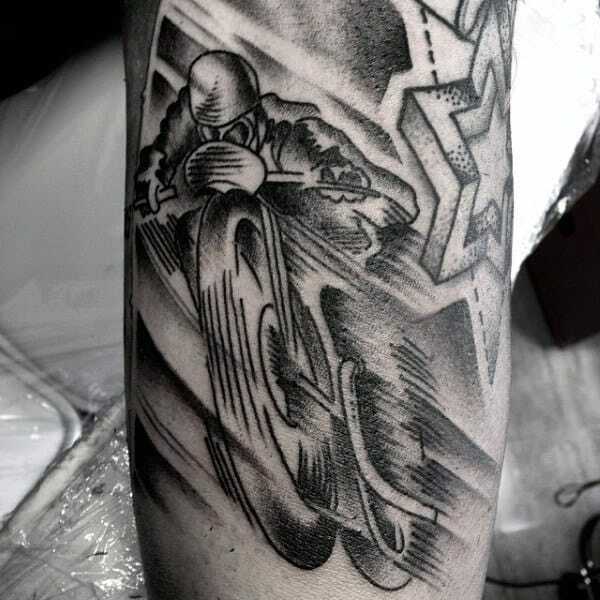 When it comes to first motorcycle, you might be surprised to know Hildebrand & Wolfmüller led the way back in 1948 with their first production bike. 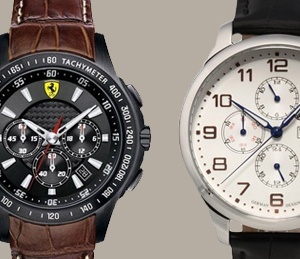 However for today, the top three in terms of production include Japan’s Honda, India’s Baja Auto and Hero MotoCorp. 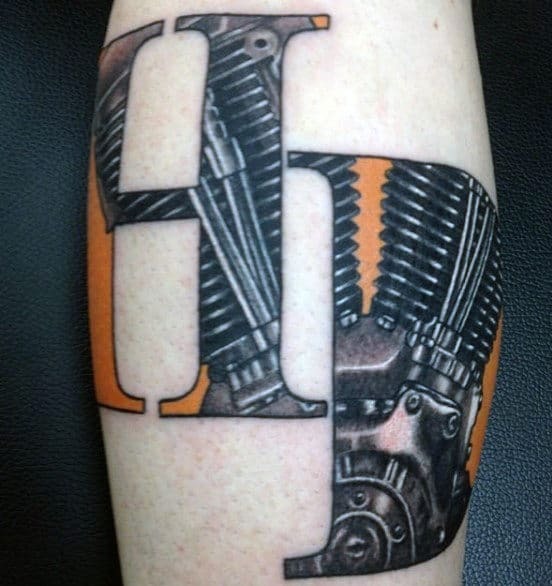 While brands have certainly changed over time, just about every man out there knows the popular Harley Davidson name by heart. 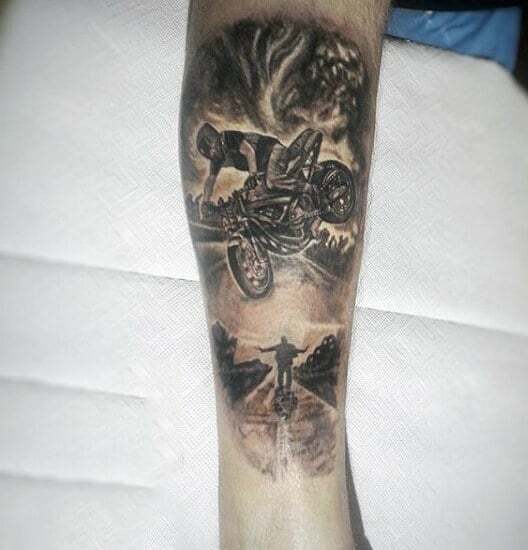 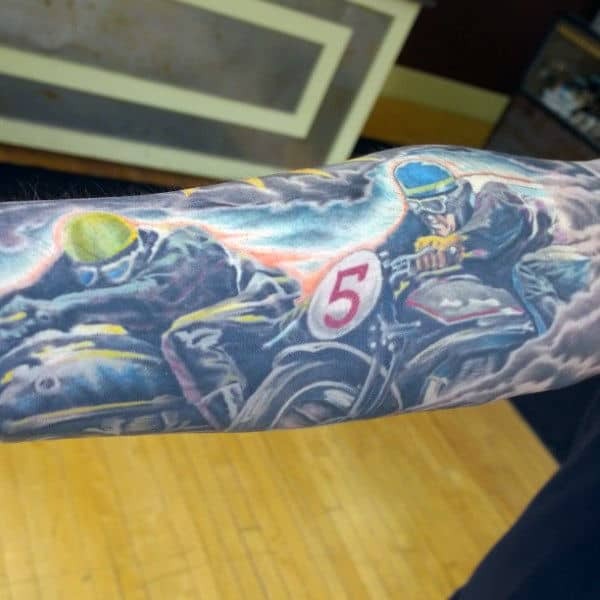 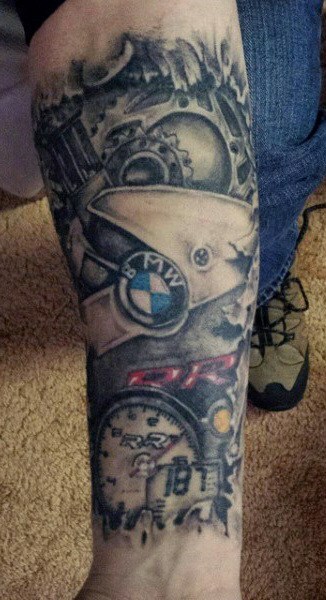 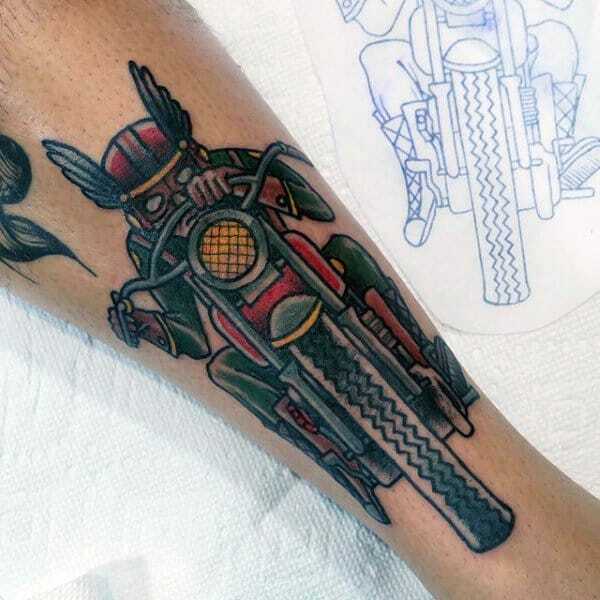 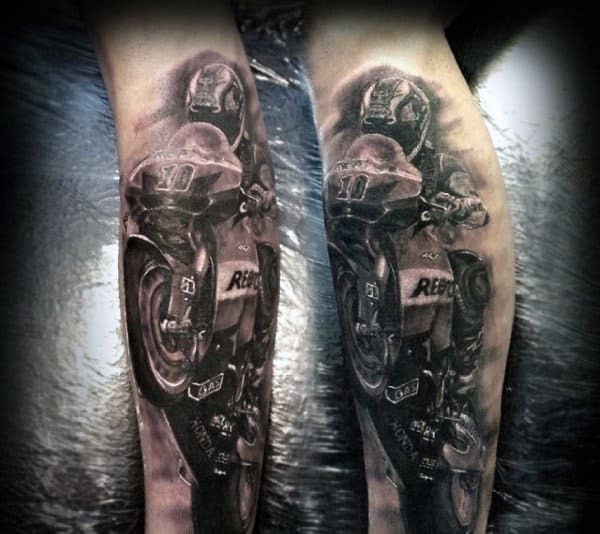 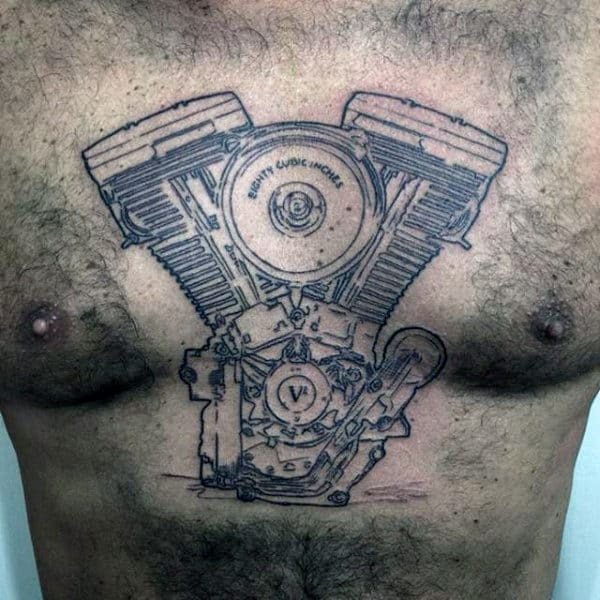 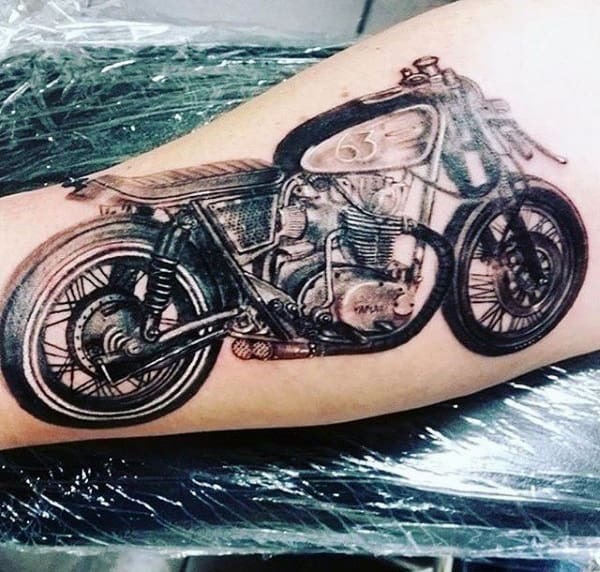 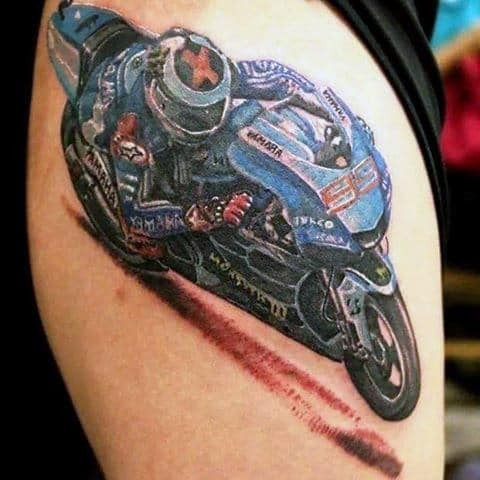 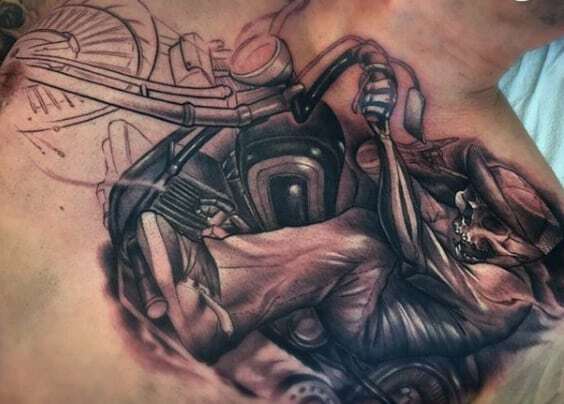 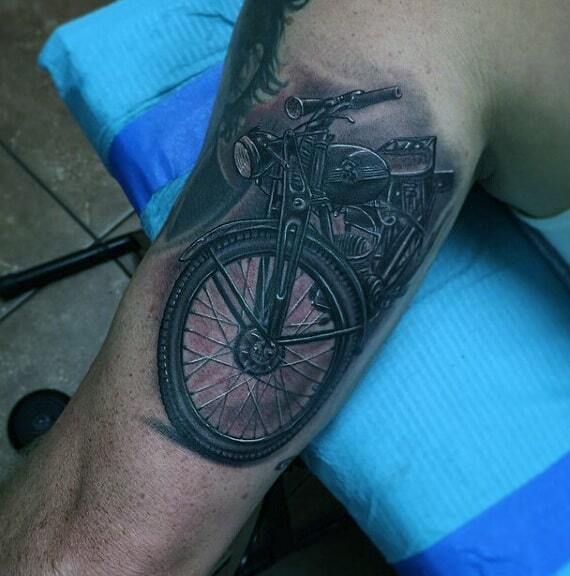 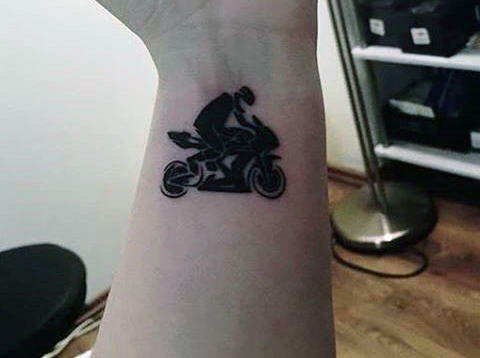 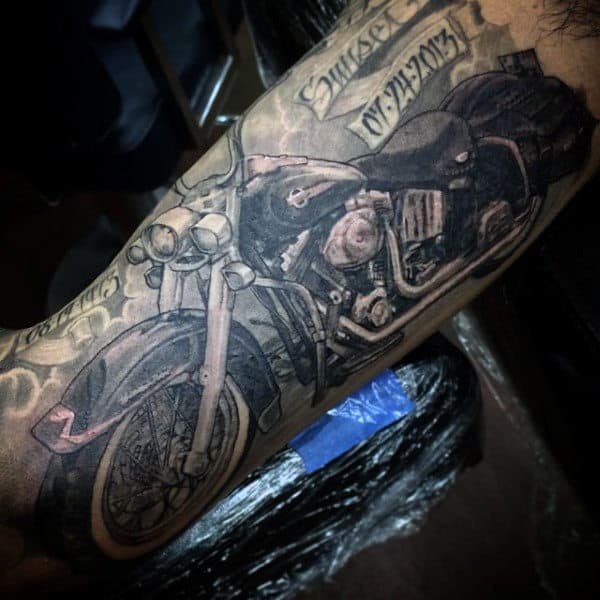 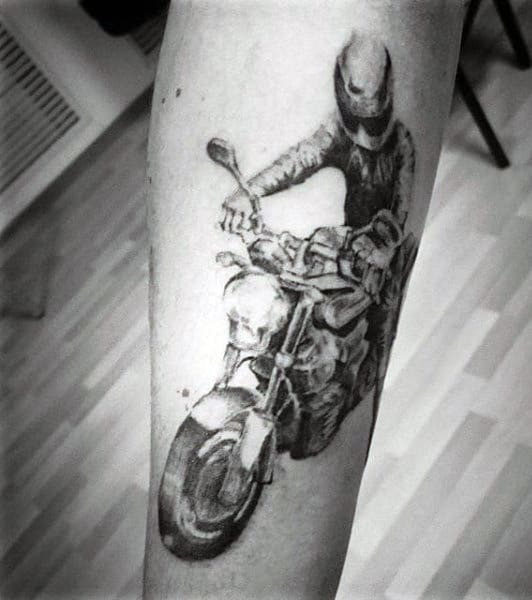 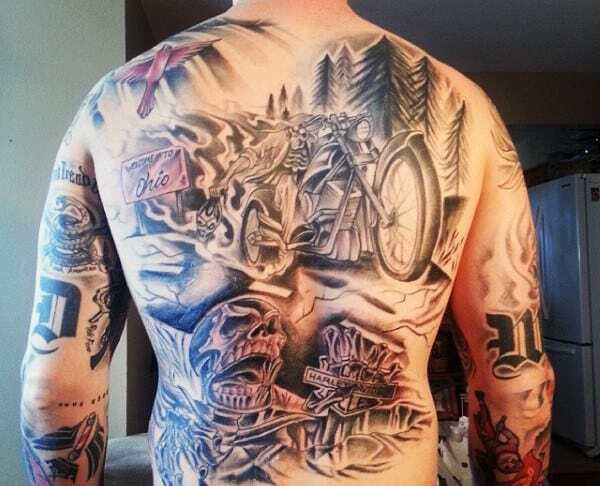 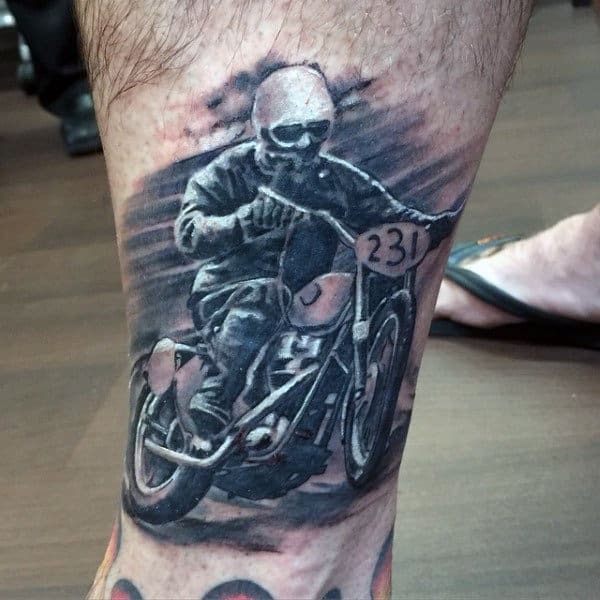 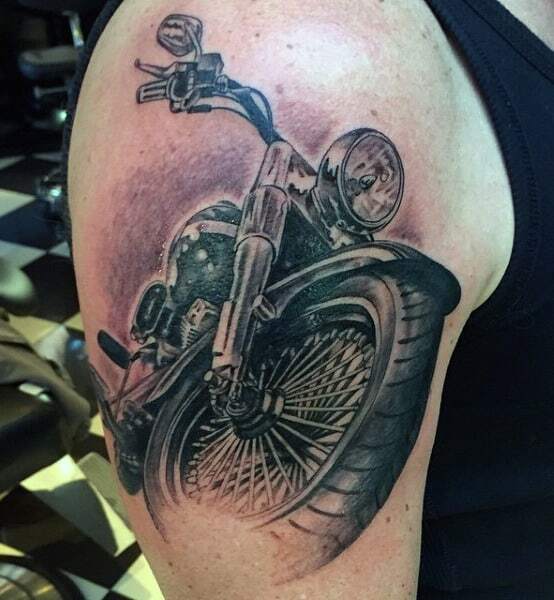 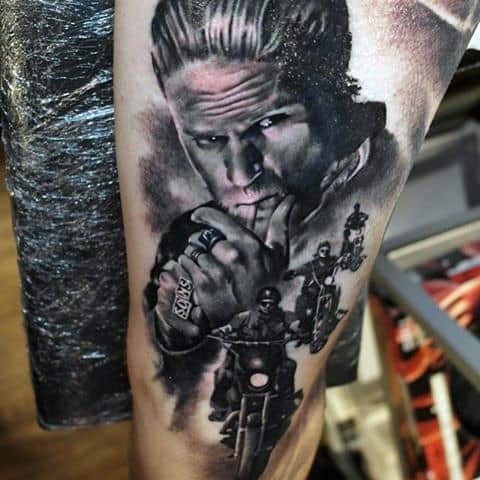 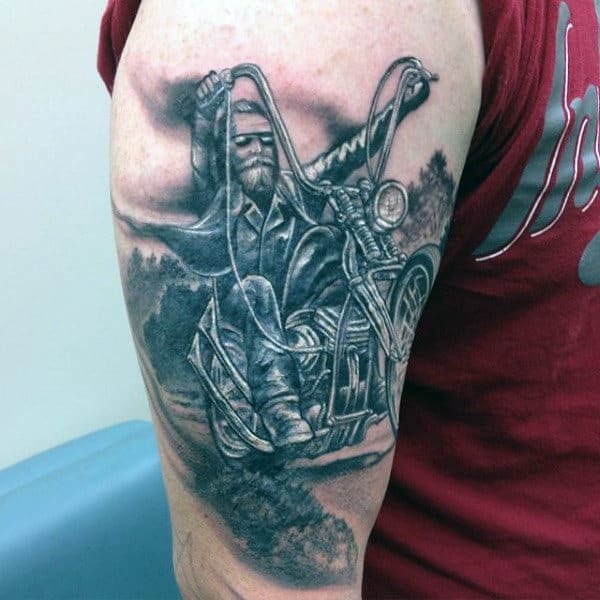 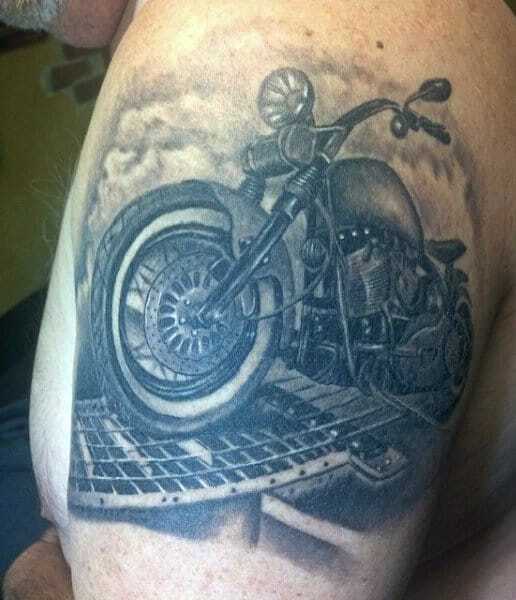 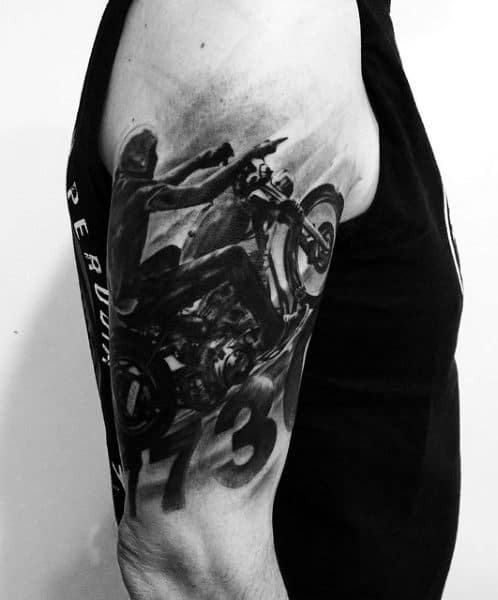 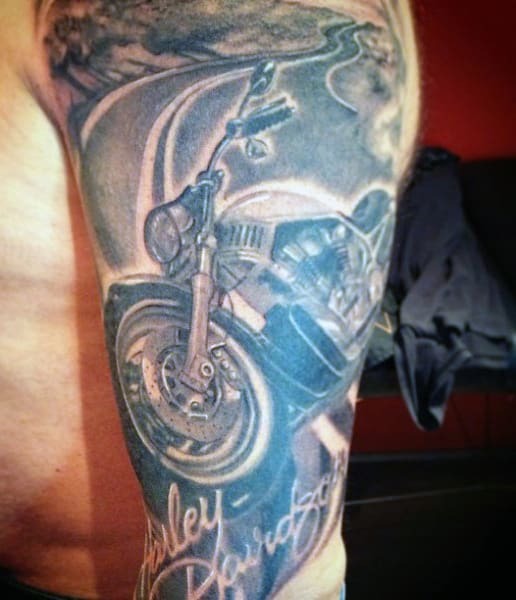 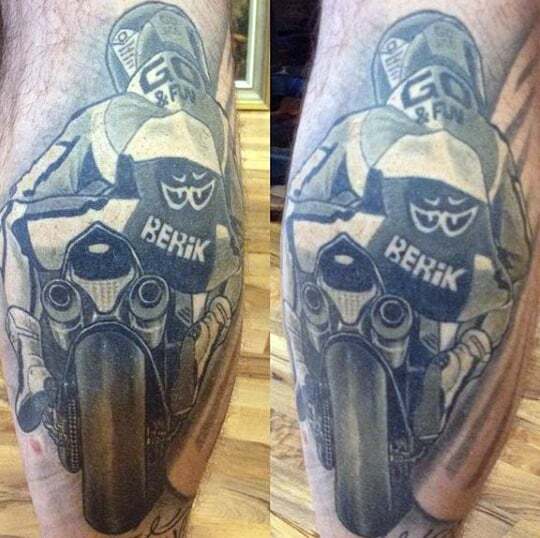 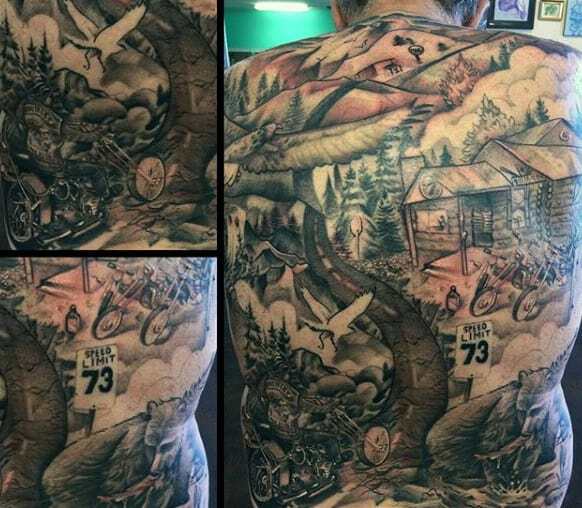 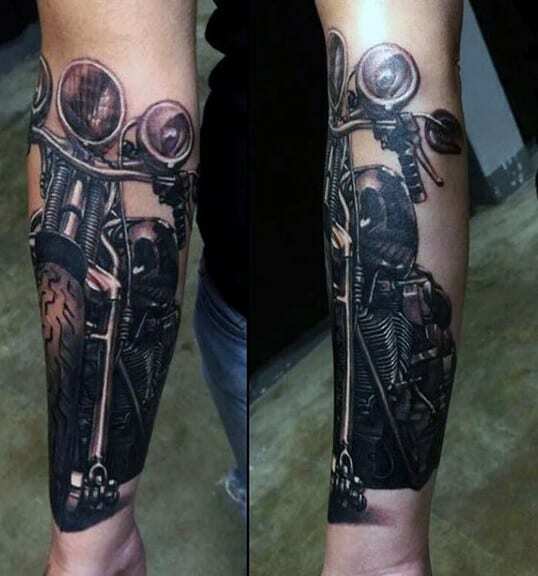 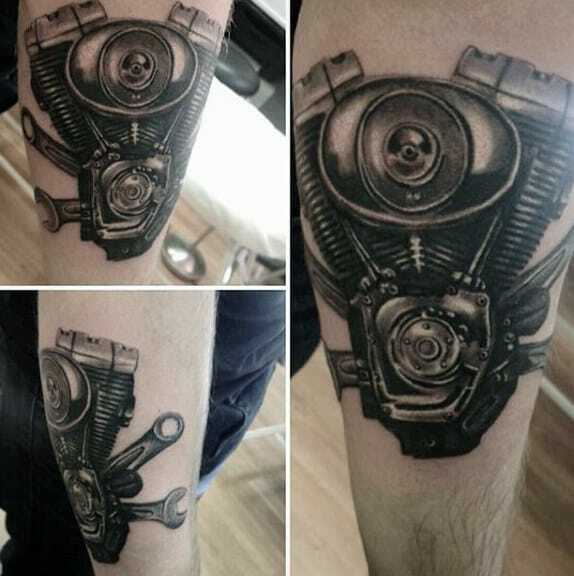 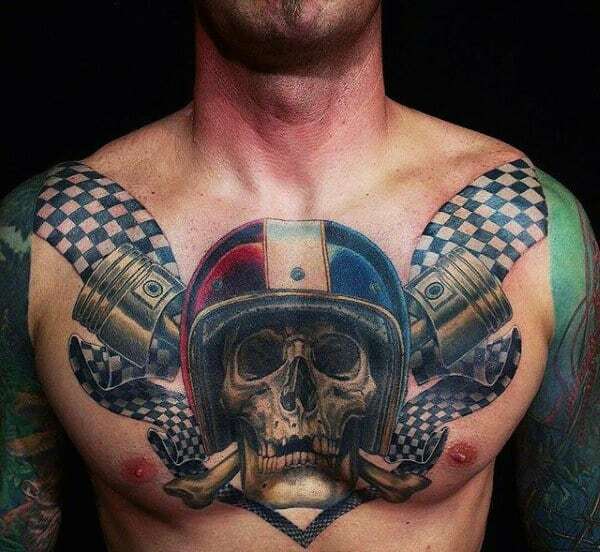 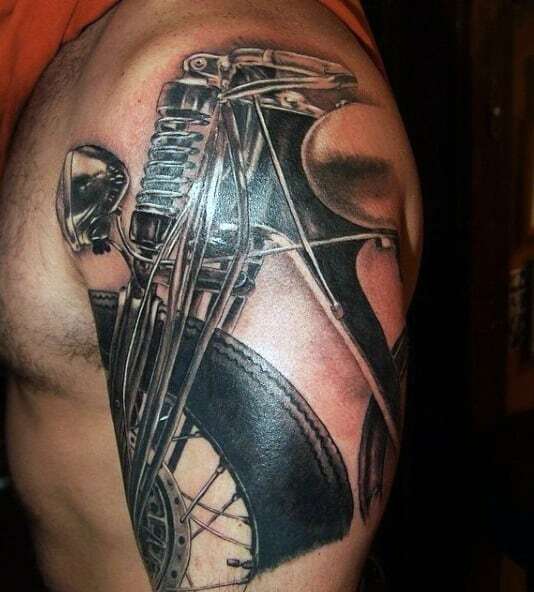 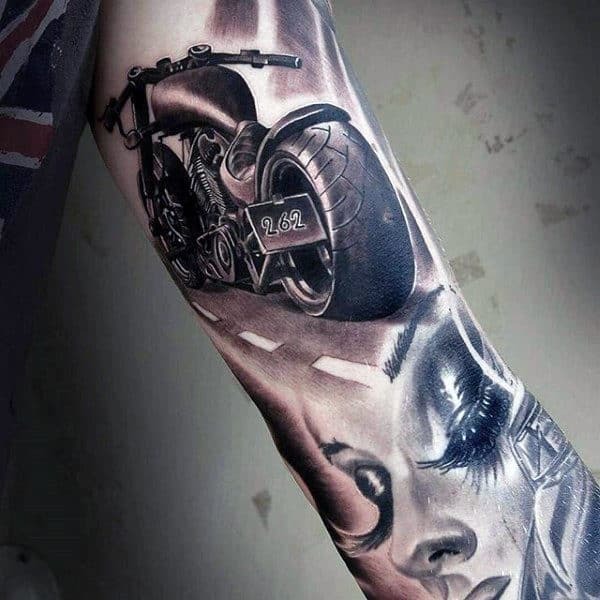 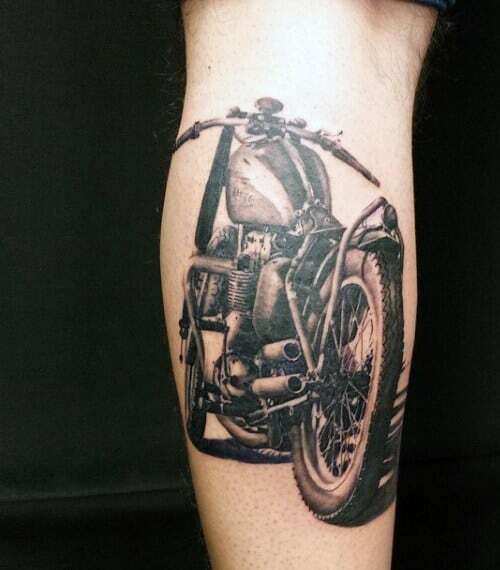 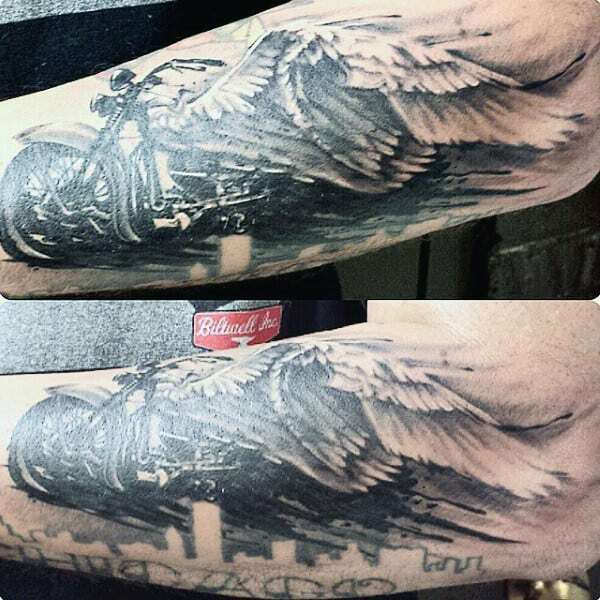 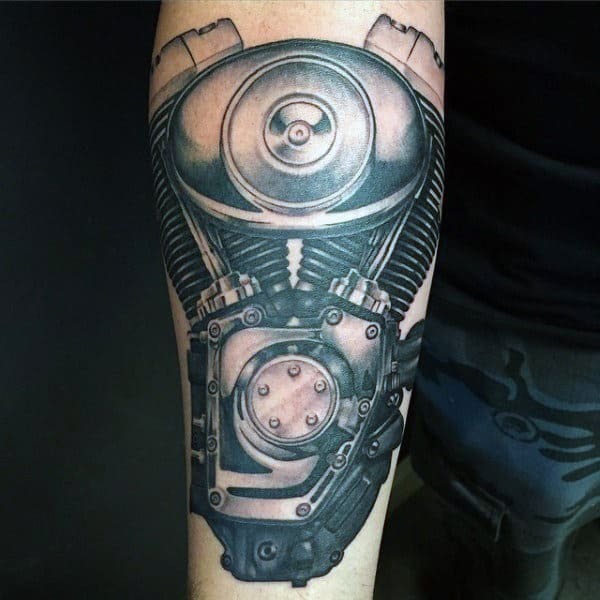 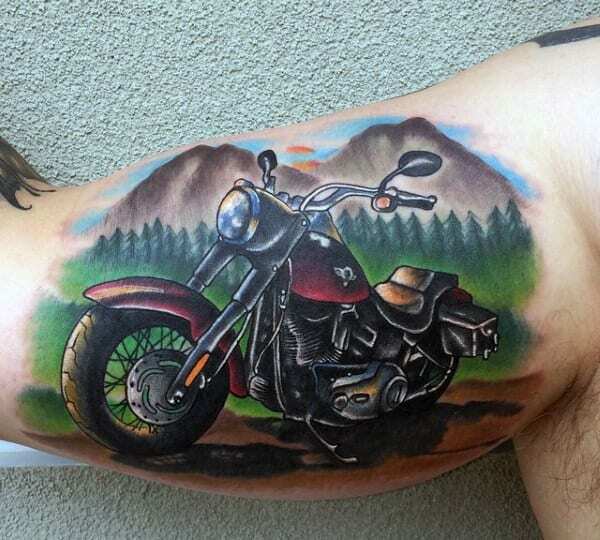 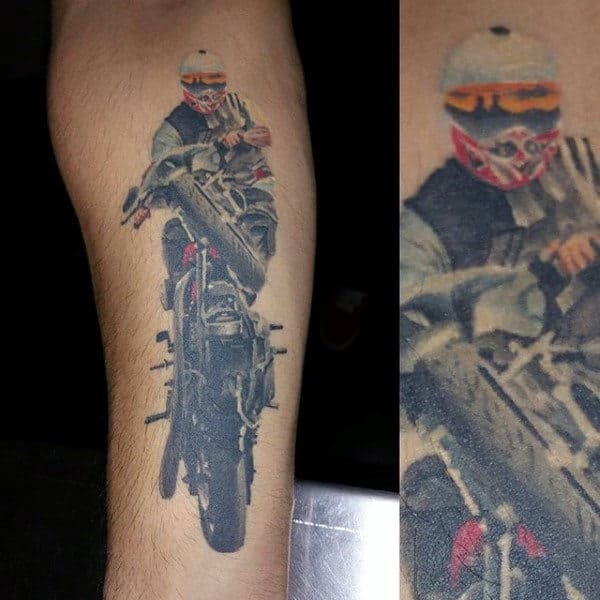 Yet, regardless of what bike you ride, you’re bound to enjoy these top 60 best motorcycle tattoos for men as much as hitting the road! 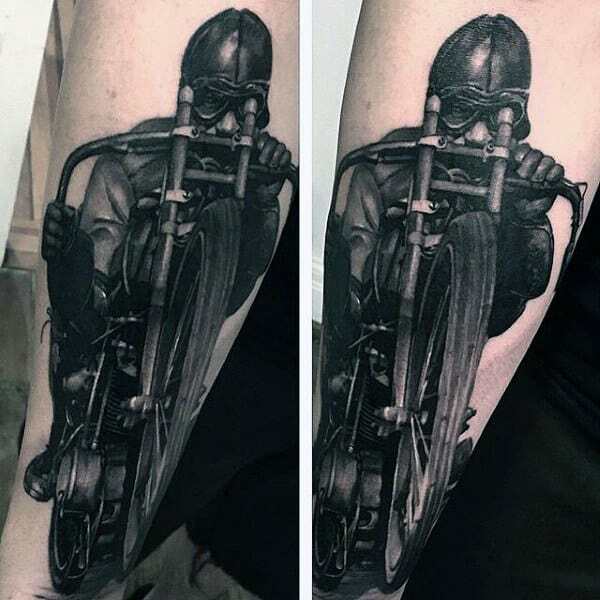 From helmet designs to racing inspired and classic motorcycle club styles, there’s an endless amount of manly inspiration and ideas awaiting.